The NFL world has gathered in Mobile, AL this week for the annual Senior Bowl. It’s the most important pre-draft all star game, featuring some of the nation’s top prospects. 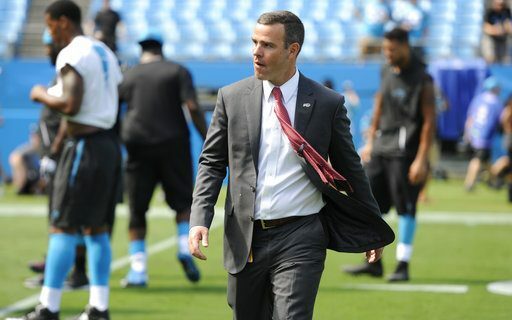 The Bills are well represented, from GM Brandon Beane to Head Coach Sean McDermott and the entire scouting staff. Sports humorist Jeff Wozer has discovered what Beane’s top goals are during his trip to the Senior Bowl. • Borrow Pegula’s yacht for a Cuba cigar-run. • Find a franchise long snapper. • Help Alabama’s coach Nick Saban emerge from depression after losing college championship game by taking him out for hamberders. • Return hotel room key Paul Peck forgot to drop off last month while broadcasting UB Bulls bowl game. • Seek treatment for compulsive sign-someone-from-Carolina-Panthers disorder. • Justify his hotel penthouse suite to Pegulas by explaining he doesn’t lodge by need but by best room available. • Confirm rumor that the missed interference call in Rams-Saints game was because Belichick insisted to league office he wanted to play the Rams. • Test new stopwatch he got from his Secret Santa. • Forget about the Sabres fall from playoff contention.